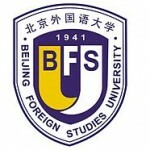 Beijing Foreign Studies University (BFSU) is a key university directly affiliated with the Ministry of Education (MOE) of the People’s Republic of China. Founded in 1941, BFSU is the first institution specializing in foreign language studies. It has the longest history among universities of its kind in China, offering a complete range of degrees, diplomas and programs at various levels, with the largest number of foreign language programs in the country. BFSU is committed to international exchange and cooperation. It has become an important window through which China and the rest of the world view each other. BFSU annually receives more than 1,000 international students from 60 countries and regions, and sends out hundreds of students to dozens of countries on exchange programmes. Each year, BFSU receives hundreds of visitors and friendship delegations from various countries. Many high-ranking government officials have also visited BFSU. It sponsors and hosts dozens of international conferences and symposiums annually. It has established partnership with 310 academic institutes in 50 countries and regions. The International Exchange and Cooperation Office and its subordinate office, the Overseas Students Affairs Office, are responsible for international exchange affairs at BFSU. Cultural and ethnic diversity are an integral part of life at BFSU, a truly global community and a miniature of the United Nations. The predecessor of Beijing Foreign Studies University (BFSU) was Yan\'an Foreign Languages School, which emerged from the Russian Language Section of the Third Branch of the Chinese People’s Anti-Japanese Military and Political College. After the founding of the People’s Republic of China in 1949, Yan’an Foreign Languages School merged with the School of Foreign Affairs to become Beijing Foreign Languages Institute. In 1959, Beijing Russian Institute was assimilated into Beijing Foreign Languages Institute. In 1994, with the approval of the then State Education Commission, the Institute changed its name to Beijing Foreign Studies University. Among its over 7,000 registered students, there are around 5,000 full-time undergraduates, with over 1,000 postgraduates and 1,000 international students. There are more than 300 professors and associate professors, over 200 assistant professors. The university also employs more than 110 international experts and instructors every year. BFSU distinguishes itself in such research fields as foreign languages and literature; world history and culture; translation and popularization of foreign literature, together with international studies, which has earned BFSU a prominent position in contemporary Chinese academic research.